You're in for a real treat with this one. 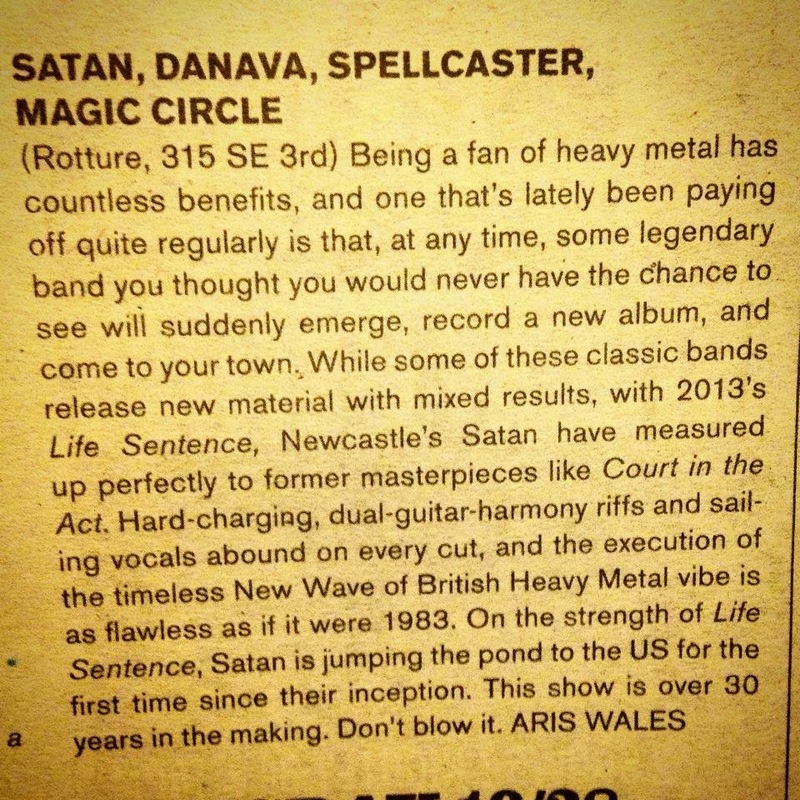 Had the pleasure of catching Satan back in April on their inaugural US tour and, to be honest, I had my doubts. Sure, Maiden and Priest can still bring down the house, but they've been slogging it out live for years. Well, add Satan to the club of old English dogs who can still hold their own. Absolutely raging. Still a show that my friends and I are talking about. Now why Magic Circle can see fit to trudge all the way out to Portland for this while I had to drink my way through yet ANOTHER Municipal Waste side-project is beyond me. Can't win 'em all, I guess.